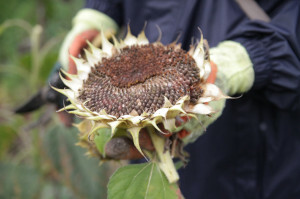 The sunflower season for 2014 has now come full circle! We recently completed the final stage of the project to harvest and distribute the seeds, clear the ground and sow new seeds. This year we planted a massive 1,300 sunflowers along the A2 – one of the most polluted roads in the UK. 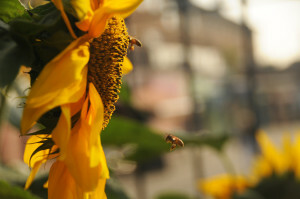 Planting took place on 13 sites including areas owned by Goldsmiths College and Sainsbury’s as well as high street shops and cafes, front gardens of housing blocks and outside the Post Office. Approximately 70 volunteers got involved at sowing and planting events and we created a dedicated team of 6 regular watering volunteers. In 2015 we’re hoping to continue the project and scale it up to cover a wider area and involve more of the community, so we now need your help to build a case for support! Did you like the sunflowers? Want to see them again next year? Please take a minute to give us feedback! Previous PostTasty Tuesday cooking sessions are back!